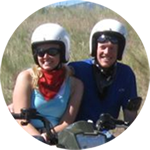 See and experience the rugged Bitterroot and Sapphire Mountains of Montana on an ATV or snowmobile. Many species of wildlife can be seen like elk, mule deer, white tailed deer, moose, coyotes and bald eagles. 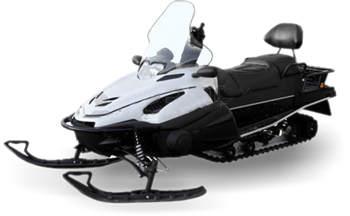 Our guided ATV and Snowmobile rides are tailored to your level of experience and ability. 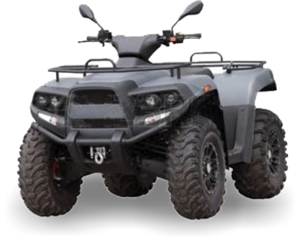 We feature ATV’s with automatic transmissions and our snowmobiles are eco friendly 4 cycle engines with electric start. The Skalkaho/Rye Snowmobile Trail offers spectacular scenery and over 50 miles of groomed trails. There are many hundreds of miles of forest roads and trails for riding ATV’s. A new trail system for ATV’s is scheduled for completion in 2016 up in the Rye Creek area. Bitterroot Adventures is located 5 miles south of Darby, MT or 65 miles south of Missoula, MT on Hwy 93. "What a blast... one of the most fun days ever!" Dave & Debbie Miller, Napa CA.